A LOCAL political representative has accused the PSNI of “community harassment” after police were called to investigate a suspicious device in the Colin area on Monday.Sinn Féin Councillor Stephen Magennis told the Andersonstown News that the PSNI conducted the “worst type of policing I have seen in years” after a number of people were stopped and searched. Mr Magennis said those searched were mystified locals using the Laurel Glen bar, a bookmakers and surrounding shops. 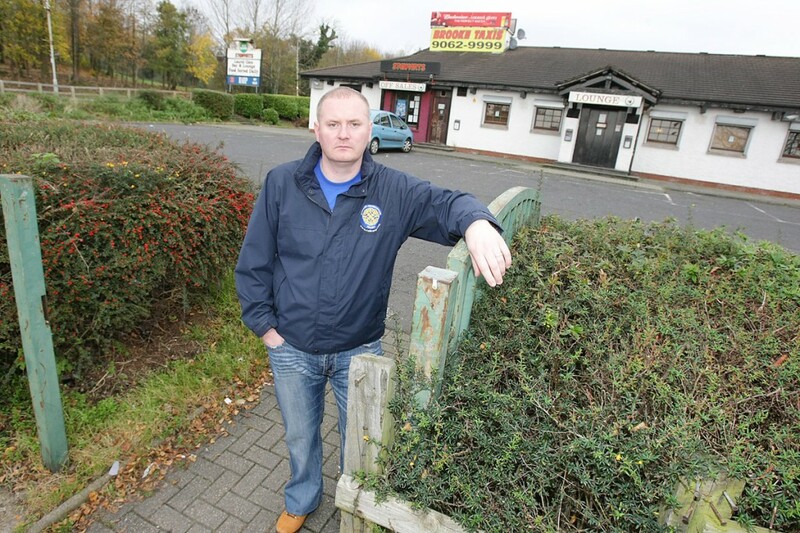 “From 3pm until 10pm on Monday the PSNI engaged in the systematic harassment of scores of people using the Laurel Glen pub and the shops in the area close by. “During this time they searched people going into and out of the bar – in some cases the same persons were searched several times – and people were also searched going into and out of the shops close to the bar. I saw a woman with a pram being searched and her pram and the child were also checked. “I was at the scene for several hours and my concerns were ignored by the police officers I was speaking with. “They refused to give me a sensible explanation as to why such a punitive policing operation was taking place,” he said. Cllr Magennis said police officers were stationed near the entrance and exits to the Laurel Glen and “patrons were searched leaving and returning to the premises”. “One police officer informed me that they needed the bar emptied of its patrons and those leaving the bar would have to be searched. “I was also told that a suspicious device was at the back of the bar, but it was quite obvious to me that the police did not believe they were dealing with a serious situation – if they did believe they were dealing with a serious situation then they put the lives of local people in danger by failing to take the appropriate safety measures to protect the public in the vicinity of the suspicious object. The PSNI have admitted that people were stopped and searched when entering or leaving the Laurel Glen.